The “green” list will include names which can be freely given to children. The “yellow” list will contain unwelcome names – these might be ones likely to be mocked or that sound bad in other languages. The names from the third category, the “red” list, will be forbidden. They might refer to people who are considered aggressors against the Azeri people or have double or obscene meaning in the Azeri language. 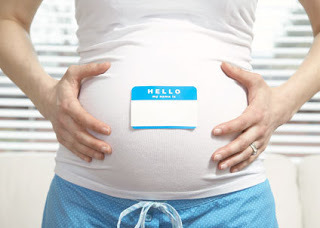 A government committee has been compiling the list of acceptable names (currently about 8,000) for several years. The most common bans are for “foreign sounding” names like Dmitry and Lenin. “National” names like Pioneer and Tractor are on the green list. Over the holidays my dad posed a two-part question after dinner: If a vehicle goes 200,000 miles without a mechanical failure does that mean that it is more likely to have a failure soon? And does the same hold true for an employee who goes 25 years without a lost-time accident at work? In answer to the first question I responded “no.” Failure rates of electrical and mechanical devices are typically modeled as an exponential distribution. This distribution is “memoryless” in the sense that the probability of having an accident at time t=1 given no accidents up til time t=0 is the same as the probability of having an accident at time t=2 given no accidents through time t=1. For the employee question the answer is a bit more complex. Here I would assign workers to two types: accident prone or safe. The longer a worker is accident free, the higher the probability that they are in the safe category. (I would use a beta-binomial model with Bayesian updating for those playing at home). A more realistic analysis might include aging effects such as deterioration of eyesight and balance on the one hand, with gaining wisdom and on-the-job experience on the other. For all I know such a study may exist. At its core this is the same idea as an athlete “coming due” in baseball–false–or having a “hot hand” in basketball”–also false. The interesting part about all this to me is that for two superficially similar problems different models are required by virtue of the fact that humans are involved. Mechanical parts are memoryless; people are not. That makes all the difference. On Wednesday we looked at a few extinct English letters. During that discussion you may have thought about the long s, resembling an “f” without the crossbar, frequently used in 18th century texts. You have probably noticed that ſ is used mostly at the beginning and middle of words, but seemingly never at the ends. As it turns out, there is a whole structure of rules governing the use of “s”-sounds in English. Compound words with the first element ending in double s and the second element beginning with s are normally and correctly written with a dividing hyphen (e.g. Croſs-ſtitch, Croſs-ſtaff), but very occasionally may be written as a single word, in which case the middle letter ‘s’ is written short (e.g. Croſsſtitch, croſsſtaff). When did ſ drop out of common usage? 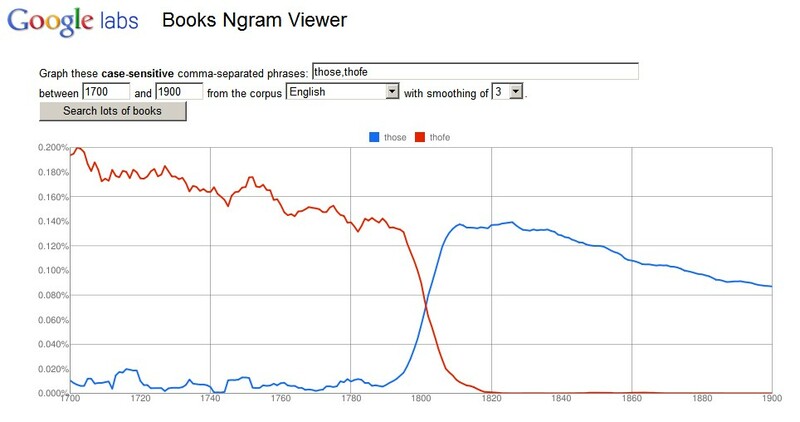 According to Google N-grams, there was a sharp decline in its popularity around the turn of the 19th century. I wonder whether new printing technologies or textbooks had anything to do with this. We take our ABC’s for granted, learning 26 letters in a precise order from our youngest days. When introduced to a second or third language later in life we may realize that even similar tongues to English contain slightly different alphabets–the Spanish ñ, the French ç–despite the fact that they evolved from the same roots. Historical variation in the English alphabet seems largely glossed over in contemporary education, but identifying some of the “missing letters” can help explain a few historical puzzles. The word “ampersand” came many years later when “&” was actually part of the English alphabet. In the early 1800s, school children reciting their ABCs concluded the alphabet with the &. It would have been confusing to say “X, Y, Z, and.” Rather, the students said, “and per se and.” “Per se” means “by itself,” so the students were essentially saying, “X, Y, Z, and by itself and.” Over time, “and per se and” was slurred together into the word we use today: ampersand. When a word comes about from a mistaken pronunciation, it’s called a mondegreen. On Friday we’ll take a look at another missing letter, the long s (resembling “f”). For a sneak peek and a list of nine other extinct English letters, check out this article from MentalFloss (via @johndcook). We have run into this issue before: you have datasets with different coding schemes for the cross-sectional unit. You need to get them all standardized so you can merge the data and increase the measurement error control for a reviewer’s favorite variable run some models. The author is Vincent Arel-Bundock, a doctoral student in comparative politics at Michigan. Thanks Vincent! * New here meaning I didn’t know about it before and its documentation is dated Jan. 20, 2013. In the case of Iceland, it’s about meeting certain rules of grammar and gender, and saving the child from possible embarrassment. Sometimes, although not in every case, officials also insist that it must be possible to write the name in Icelandic. There is a list of 1,853 female names, and 1,712 male ones, and parents must pick from these lists or seek permission from a special committee. Maybe we need stronger regulation to prevent disasters like Hilary, now considered the most poisoned name in US history. More at the BBC. Theory Talks is an interactive forum for discussion of debates in International Relations with an emphasis of the underlying theoretical issues. By frequently inviting cutting-edge specialists in the field to elucidate their work and to explain current developments both in IR theory and real-world politics, Theory Talks aims to offer both scholars and students a comprehensive view of the field and its most important protagonists. What is, according to you, the biggest challenge / principal debate in current IR? What is your position or answer to this challenge / in this debate? How did you arrive at where you currently are in IR? What would a student need to become a specialist in IR like yourself? 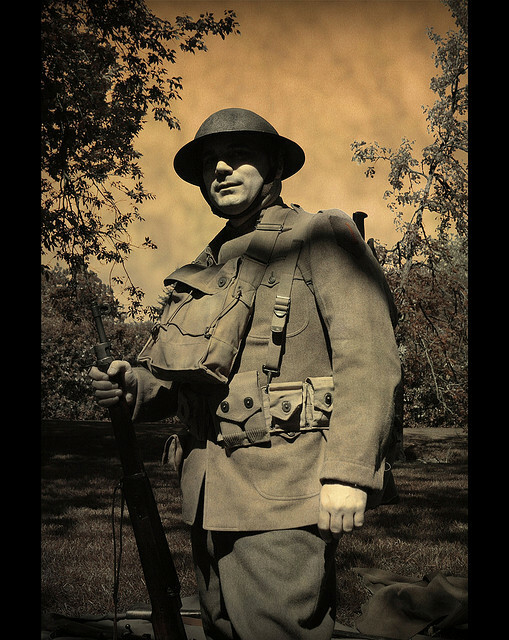 US soldier in WWI. Note the belt is used to carry gear, and is held up by a strap over the shoulder. The pants lack belt loops, which would not be invented until the 1920s. Men have always worn belts with their trousers, right? Wrong. Until the First World War, belts served one of two purposes. They could be a way for a ruler to accessorize, or an easy way for soldiers to carry around gear (a belt with pouches all around it for ammunition is essentially a manly fanny pack, after all). No one thought of a belt as a way to keep his pants up. Logic or no logic, the fact remains that it was easier to develop special and general relativity than to imagine trousers secured with leather belts inserted into belt loops. That does not, however, mean that pre-20th century pants have been dropping off. Trousers were highly cut and waist-fitted to the contours of their wearers, as such tailoring adjustments cost pennies. Then, in the 1820s suspenders have been invented. From then onwards, even mass manufactured trousers could be worn without individual fitting (though tailors’ services still cost pennies). Mass production of uniforms for nationally conscripted armies in the time of war shortages forced national governments to trim as much material as possible. The trousers were made with such a low cut that suspenders became loose, and they needed to tie these funny trousers with a wide belt that was worn over the coat. Men discharged from the army got used to this silly fashion. Because the belts did not sit well on trousers, belt loops were introduced in the early 1920s. Thirdly, those snappy waistcoats and vests that everyone wore before this were not just for fashion–they were hiding suspenders. Suspenders were regarded as undergarments, akin to a woman’s corset. After WWI the waistcoat’s popularity waned, and with it the use of suspenders. You can read more about these developments here, from which the above quotations were taken. A daily habit for millions of men around the world turns out to be just another contingent fact of history. Even the things we take for granted are shaped by politics and norms. Who knew you had a micro-institution around your waist? One week ago Netflix introduced its first original series, House of Cards. The series details the life and crimes of (fictional) US Congressman Francis Underwood and his wife Claire who runs a nonprofit. What is unique about the series is that the entire season–13 episodes–was released all at once. Netflix and streaming services like it have acclimated us to watching shows in bulk like this. Is the new model sustainable? 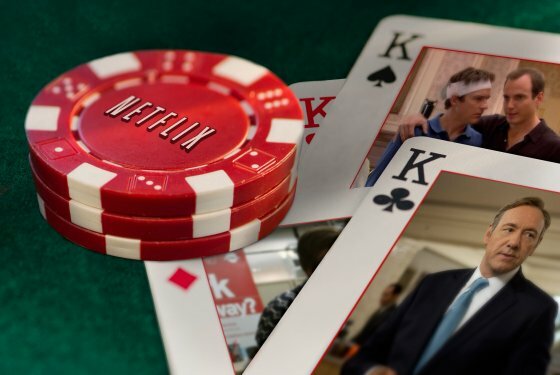 With Netflix spending a reported $100 million to produce two 13-episode seasons of House of Cards, they need 520,834 people to sign up for a $7.99 subscription for two years to break even. To do that five times every year, then, the streaming TV site would have to sign up more 2.6 million subscribers than they would have. That sounds daunting, but at the moment, Netflix has 33.3 million subscribers, so this is an increase of less than 10 percent on their current customer base. Of course, looking at Netflix’s past growth, that represents pretty reasonable growth for the company that saw 65 percent growth from 20 million to over 33 million world-wide streaming customers. Much of that growth, however, comes from new overseas markets. But, even in the U.S., from one year ago, Netflix saw about 13 percent streaming viewer growth jumping from 24 million to 27 million. The five times per year figure comes from a plan that Netflix CEO Reid Hastings revealed in an interview with GQ. Paying for subscription television like this is not a new idea–it’s a similar business model to HBO. But Netflix seems to have the execution right, at least with this first foray. Linear channels must aggregate a large audience at a given time of day and hope the show programmed will actually attract enough viewers despite this constraint. With Netflix, members can enjoy a show anytime, and over time, we can effectively put the right show in front of members based on their viewing habits. Thus we can spend less on marketing while generating higher viewership. For linear TV, the fixed number of prime-time slots mean that only shows that hit it big and fast survive, thus requiring an extensive and expensive pilot system to keep on deck potential replacement shows. In contrast, Internet TV is an environment where smaller or quirkier shows can prosper because they can find a big enough audience over time. In baseball terms, linear TV only scores with home runs. We score with home runs too, but also with singles, doubles and triples. Because of our unique strengths, we can commit to producing and publishing “books” rather than “chapters”, so the creators can concentrate on multi-episode story arcs, rather than pilots. Creators can work on episode 11 confident that viewers have recently enjoyed episodes 1 to 10. Creators can develop episodes that are not all exactly 22 or 44 minutes in length. The constraints of the linear TV grid will fall, one by one. I look forward to seeing more of this strategy, and as I proceed with House of Cards you may even get a post on its politics. What I find interesting is that there was nothing fundamentally to stop the Romans – or any other ancient civilization – from creating such a network. The Greeks experimented with it in 4BCE but it seems it never really caught on. Tower building is easy, as is flag waving or other mechanical forms of signalling. Their technology was certainly capable of building a proto-Internet. 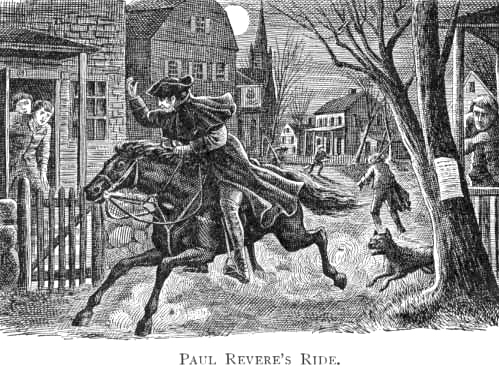 That would have had some profound changes to our history. You can try the interactive maps for yourself here.